We all seem to be leading busier and busier lives these days, and we often hear that as a reason for not cooking at home, eating healthy, etc. This is the kind of recipe that you can throw together quickly before work, without much thought, and come home to a) your house smelling amazing and b) a delicious, home-cooked meal! 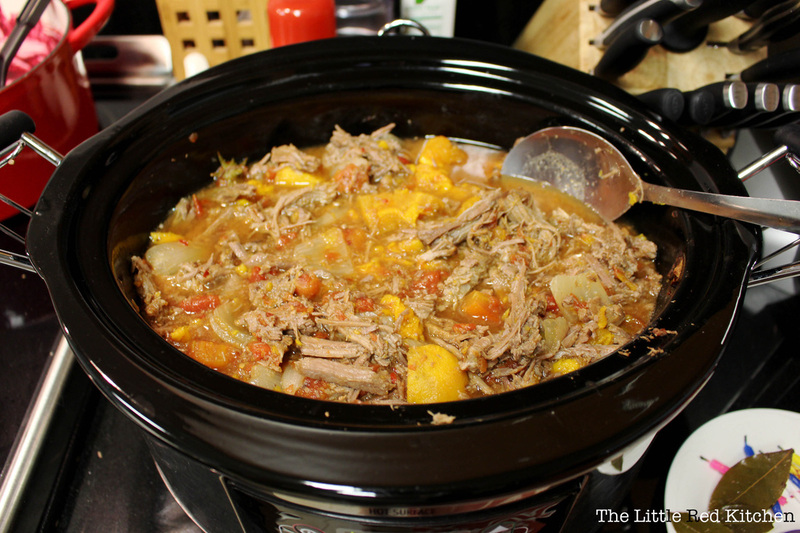 If you don’t already own a crock-pot/slow cooker (depending on where you’re from), I’d highly highly recommend it! I own this set-and-forget model, reminiscent of a space ship, but you can’t go wrong with a more basic one, too. The 10-minutes in the title of this post obviously refers to the actual hands-on time, while the cooking time will vary from 8 to 9 hours. The recipe changes depending on what I have in the house at the time, so I’ve added some variations below to get you started (the abbreviated recipe can be found at the end of the post)!Step 1: Acquire some form of beef roast. It should be about 3-4 pounds and will feed two people over multiple, multiple meals after we get done with it. 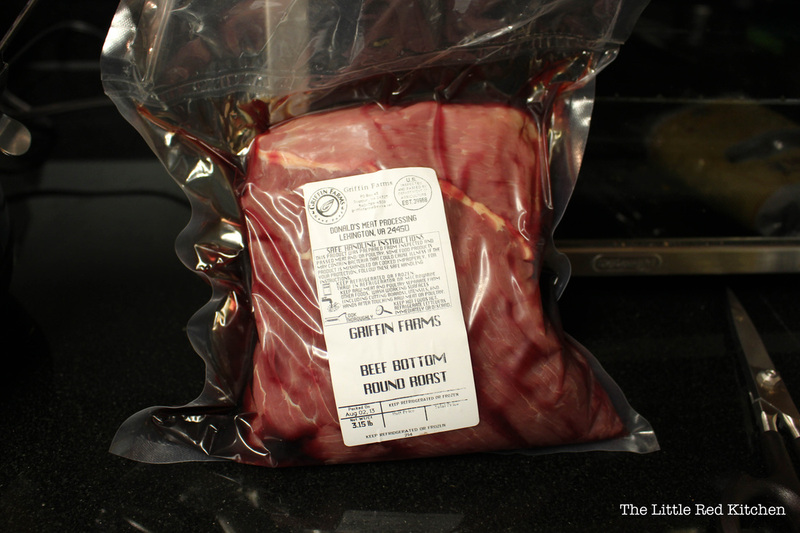 I picked up this gorgeous, local, 100% grass-fed bottom round roast from Griffin Farms (who will be featured in an upcoming “Adventures” post, so stay tuned!). Did you know? Cuts of beef labeled “round” or “sirloin” are the leanest (least fatty). I’ve found that they’re great for slow-cooking recipes because their toughness is reduced/completely removed by the long cooking time. Step 2: Place your roast in the crock pot. Since this bad-boy is organic and grass-fed, I’m happy keeping the juices (seen in the bag) in with the rest of the roast.Step 3: Prepare your veggies. This will mean scrubbing, peeling, and rough-chopping. Larger chunks of vegetables will maintain their shape throughout the cooking process. In the past, I’ve used carrots, celery, white potatoes, etc. This time, the only things I had available were sweet potatoes and yellow onions (two staples in our house). You can really use any root vegetable you like, or a tougher vegetable that can withstand the longer cooking time without turning to goo (yay, appetizing).Step 4: Pack in the veggies. Place them around the roast in the crock pot, but not too tightly. Be sure to leave most of the top of the roast exposed so that we can season it. Step 5: Season it all up. This, too, will vary depending on my mood, the time of year, etc. This time, I used kosher salt (2 tsp), black pepper (1/2 tsp), garlic powder (1 tbsp), and bay leaves (2-3). I also decided to add a little kick with crushed red pepper flakes (1/2 tsp), to help offset the sweetness of the sweet potato. Did you know? Sweet potatoes, in addition to the traditional Thanksgiving casserole, can also be used to make savory dishes. More on that soon, too. Step 6: Add some liquid. I’ve used everything from beef stock, to chicken stock, to wine in the past. This time, I decided that I wanted a more stew-like meal, so I added a large can of Hunt’s diced tomatoes on top of everything. Then, I filled the can about halfway with water, and added that in too. Step 7: Set it and walk away. This roast cooked for 8 hours on “low”– if you use a larger roast, you’ll need to cook it for 8-10 hours (or until the meat shreds easily with a fork.) If you have a traditional crock pot, you’ll need to make sure that you’re home to turn it off at the end of those 8 hours. If you have one like mine, you can trust it to turn off for you.Optional: Go to work, or go do something fun! 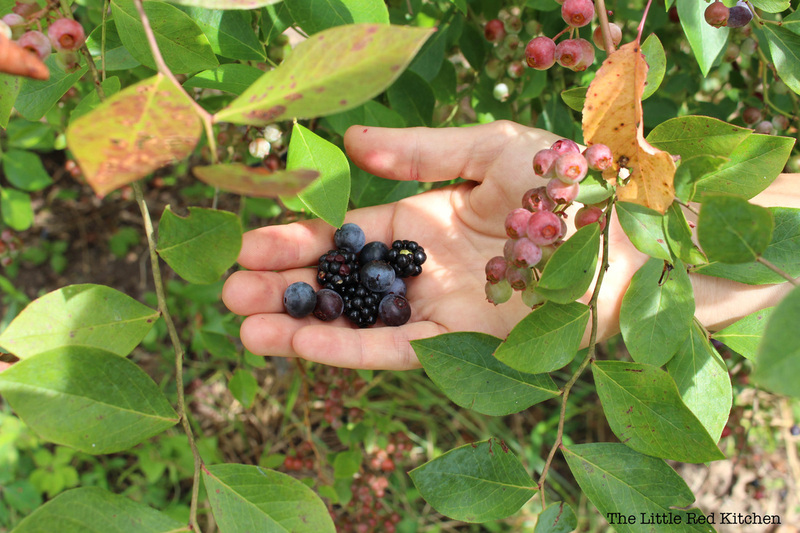 I went out to pick some local blueberries and blackberries with friends, grocery shop, and bake a pie with those berries (recipe coming soon). Step 8: Shred it up! Once your meat has finished cooking, remove the bay leaves, and then carefully remove it from the crock pot (leaving the vegetables and broth). 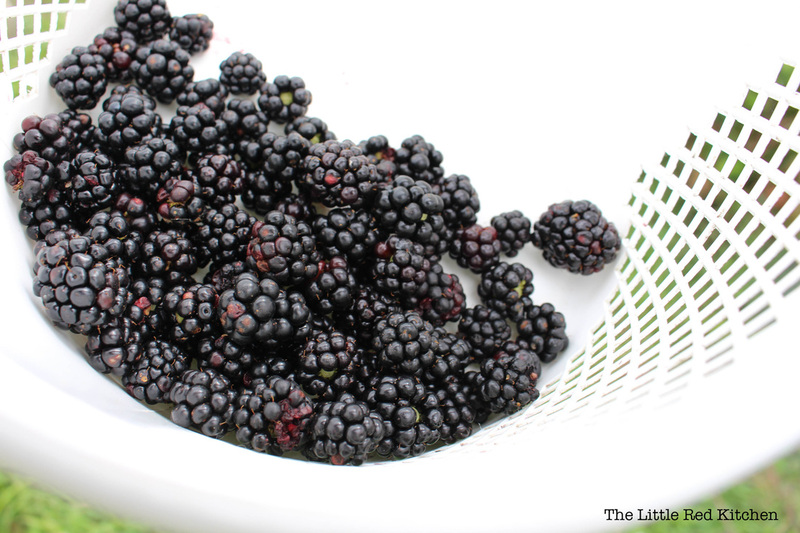 Place it into a large bowl or onto a large place. 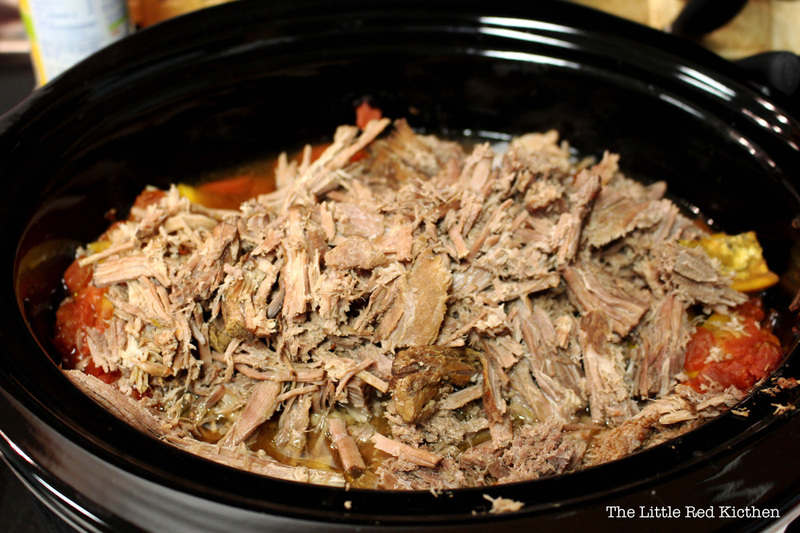 Using two forks, shred the meat, then return it to the crock pot. Step 9: Mix it in well, and taste. Adjust seasoning if desired. Then, enjoy with crusty bread or a great bottle of (red) wine! 1. Place your roast in the bottom of a 6-quart crock pot, and pack the chopped vegetables around it (leaving the top of the roast exposed for seasoning). 2. Season the roast with the spices above, or change them to suit your tastes! 3. 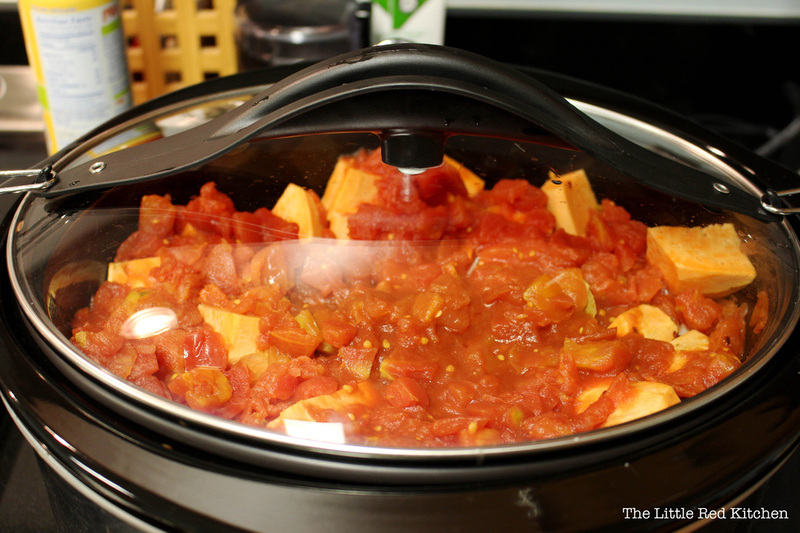 Cover the roast and vegetables with the diced tomatoes, then fill the can half-way with water, and add it in on top. 4. Cook for 8-9 hours on low, or until the meat is tender enough to be shredded with a fork. 5. Remove the bay leaves and discard. 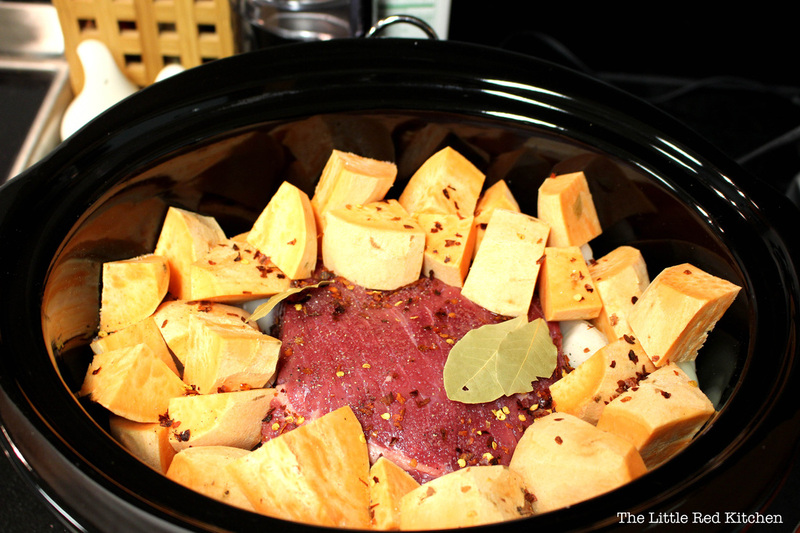 Carefully remove the roast from the crock pot, and place on/in a large plate or bowl*. 6. 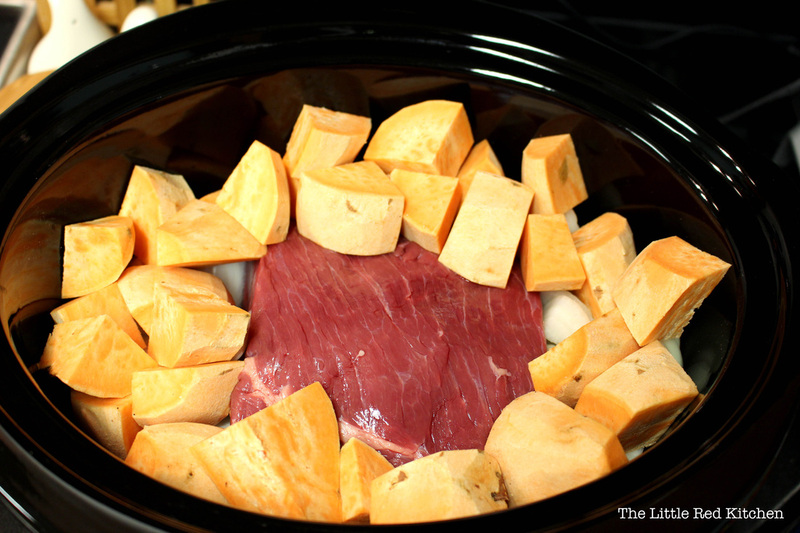 Shred the roast with two forks and replace in the crock pot, stirring to combine. *You can also shred the roast directly in the crock pot, but since the liquid is still hot/warm, you avoid burning yourself by doing it separately.Thanks for reading!